Netflix adds offline viewing in update | What Hi-Fi? 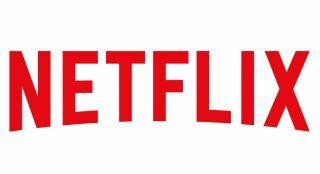 Numerous Netflix Original Series programmes - including Stranger Things and The Crown - can now be downloaded in Standard and High Quality. One of the best advantages Amazon Prime Instant Video and BBC iPlayer had over Netflix was that you could download videos to watch offline. Now that edge has been dulled, as Netflix has just added that functionality to its iOS and Android app. Users will find a new download button on the details page for a film or TV series, that will download the video to your smartphone or tablet. This doesn't extend to all Netflix content, however. It appears to focus on (but is not exclusive to) Netflix Original Series programes such as Stranger Things or The Crown. To get this option on your device, you'll need to be running iOS 8.0 or later for Apple products, Android 4.4.2 or later for Android ones. There are two options of video quality - 'Standard' and 'High' - although Netflix hasn't specified the resolution difference between the two. You can swap between the two by going to the App Settings option in the Netflix app.